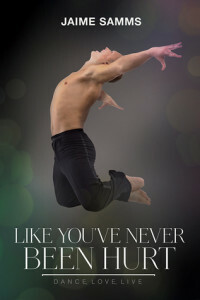 About to lose the only thing he ever loved, Adam Pittaluga is at a crossroads in a dancing career that has hardly begun. He has always wanted to be a ballet dancer, but now that it’s impossible, he turns to Peridot for comfort. Peridot has been rebuilding his life after losing his ability to dance professionally, his marriage, and very nearly his daughter. He has a lot of reasons to be leery of starting something new, especially with a man as young as Adam. Blue collar Adam’s family sacrificed much to enable him to train as a ballet dancer. Blue blooded Peridot lost his marriage to dancing. While older Peridot finds himself falling for Adam, he is terrified of his daughter feeling rejected by a second parent. Adam’s grief for the loss of a dance career that never really started is only compounded by the rejection he feels from Peridot. This is a dark, complicated story of two men attempting to live beyond dance while attempting to prioritise the most important things in their lives. While the story is set in the same dance studio as the first book, there is less serious dancing depicted as the focus is on Adam’s instruction of his young students. I missed the dancing but I did enjoy the relationships between all of the men involved with the studio and their young charges. There was a little too much angst in this story for me. Not only was the central relationship a minefield of uncomfortable silences and misunderstandings, the drama in Adam and Peridot’s individual lives caused much brooding and some sulking. The drama rings true for dancers with inflated egos, but it doesn’t necessarily make either of these men a favourite character. In the first book, it was the vulnerability of both men that made me love them and I didn’t feel quite the same humanity here. Readers who like their romance dark and complicated will enjoy this. For me, it was a little bit too intense and I didn’t completely fall for either leading man. The author sets up a third story at the end of this one and I think that plot might suit me a little better.